There are a number of us driven to search the world for the newest forms of magical tricks. We dive into the darkest alleys, the most convoluted of document dumps, the blackest of markets, searching for clues. We tune our aetheric antennas, looking for signals that might indicate a disturbance in the order of things— eddies in the production currents of technology— where such supernatural powers might suddenly emerge. The third law is delightfully vague, capable of converting from advice for writing space opera, to a commandment of UX design. But in the context of the other two laws, it reads as a presupposition to how we view technological history. Clarke is directing us to look at the means of the generation of history— the intersection point where the impossible is processed into the possible. The impossible is a large domain— containing impossibilities that may become possible in a week’s time, those that will only be possible in a thousand years, and those that for all intents and purposes within humans’ conception of time, will never be possible. Our knowledge of present technology is projected forward into the unknown, and the way forward is illuminated in heavy shadow, unfolding into what we conceive of as the future. To think about the future you must study history. But you also must be willing to perceive the currently impossible as already becoming historical. This temporally augmented reality is we are calling it in this series of essays, the Future-Present. In order for us to explore the Future-Present, we must delve into the murky substance of forward-projected historicity, from the shallows of the objectively plausible, to the depths of the most far fetched. While Clarke is heralded as a master of hard science fiction, and potential patron saint of futurists, perhaps his advice takes us closer to the work of Charles Fort, whose name has been adopted into the adjective “Fortean”, conflating “bizarre” and “seemingly impossible”. Fort himself pronounced words to very similar effect as Clarke forty years earlier. His cataloged phenomena “of the damned”, were patterns so odd and mysterious that they were only conceivable when apprehended under the rubric of superstition: "...a performance that may some day be considered understandable, but that, in these primitive times, so transcends what is said to be the known that it is what I mean by magic." To look into the future we must be drawn, like Fort, to study the phenomena that exceed our understanding but nevertheless attract our attention. We must be willing to be fascinated by what we’d call impossible. There is an technology that might serve as an archetype for this relationship of fascination with the strange and impossible that is lashed to reality in the headspace of the Future-Present. Electromagnetism is science resolutely within the realm of the possible, today. But it is emblematic of what we might deride as the supernatural and the magical. Any living thing on earth, by the time it is able to move under its own volition, has a learned relationship to the laws of gravity. And yet, with a small rock in the palm of the hand, that impartial force can be reversed. Such unexplained power is captivating. In a particular kind of magnet— the neodymium magnet— we see an archetype of Future-Present fascination. It represents the Fortean unexpectedness of new things falling out of history, and the intellectual mechanisms of the human species that pursues them. Magnets trace back to the Olmec, who may have used lodestones for navigation, architecture, or geomancy as early as in 1000 BC. Chinese literature mentions these naturally occurring magnetized rocks in 4th Cent. BC, and we know for sure that they were used in conjunction with the earth’s magnetic field for navigation by the 11th Century AD. But while their most observable properties were recorded, the means by which magnets worked was obscured for another eight hundred years. Ampere’s theory of electrodynamics in 1821 first recorded the properties of electromagnetism: when current flows through two parallel conductors in the same direction, they magnetically attract each other. Faraday is credited with discovering electromagnetic induction in 1831, and he also noticed magnetic fields. It is these properties that make an electric motor or generator work, and allowed Hippolyte Pixxi to invent the first alternating current dynamo in 1832. 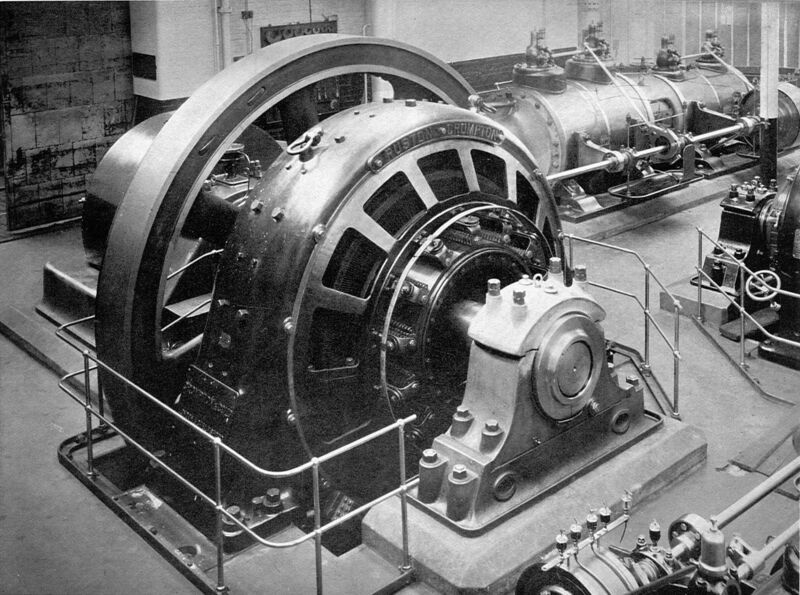 It might seem that from that time on it was business as usual, as minor technological and industrial improvements accumulated into better generators, power storage systems, and more efficient energy grids, bringing us up to the time of the present. But let us pause in a most auspicious and Fortean year of technological discovery: 1982. It was this year that General Motors and Sumitomo Special Metals created the compound Nd2Fe14B. This compound had never existed before, but today is found in countless devices, nearly as ubiquitous as the principle of induction itself. 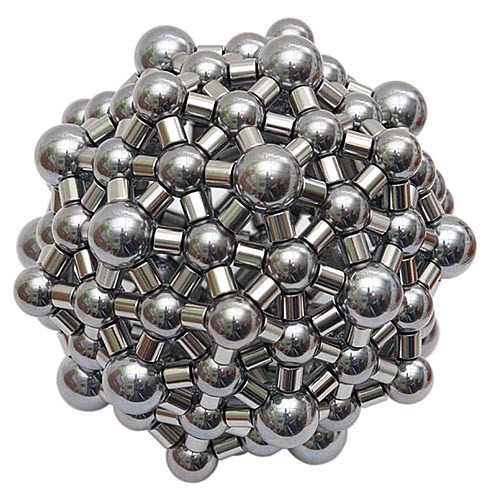 This compound is known commonly as the neodymium magnet, and today is found in appliances, hard drives, medical equipment, hybrid cards, fashion, and children’s toys. There is no other magnetic material currently known that has a stronger magnetic field or retains its magnetism more resiliently. We are surrounded by technologies that, without these magnets, would never have been possible. Our entire field of Future-Present perspective shifted in less than thirty years. Our fascination with the seemingly impossible continues to evolve. Just like electromagnetism, we can never say that we are seeing the true limits of this effect. And yet, there is a science to it. There are means by which we wield our fascination, which control, to certain extents, how it works. I realized this in talking with my Future-Present informants, who discussed their experience with this attraction to the strange. Technology is redistributed all the time, and it is fascinating to us how quickly this redistribution seems to take effect. We would be remiss to not follow down the paths of this fascination, and to explore how far we can go on one tank of Weird. Geoff notes that we experience this fascination as “drive”— an almost unconscious desire to follow these things and work with them. There is a vast amount of mystery condensing into reality— and the simultaneous utilization of the characterizations of Clarke and Fort seems less a style of thinking, than a need-driven adaptation. The cultural origin of the internet is related to 60s counter-culture. The rediscovering of liminal experience is the appeal. For people who don’t have some sort of spiritual practice, technological change is the thing that comes closest to the experience of the unreal. It’s similar to the experience of getting a cell phone call for the first time. “This is weird, this is magic.” There are are all kinds of spooky experiences. It’s not just newness, either—it’s an experience where the previous understanding of the universe is broken. You don’t get many experiences like that if you don’t do drugs or have some sort of meditative practice. You don’t play with social rules or create new social spaces. Magic changes the rules of the world in a way we don’t expect. Think of the clotting factor powder that medics now use. You dump it on an artery, and the artery just stops. There is a culture that plays with this idea, as a way of trying to understand it. If you have these highly technical systems, certain people understand the machine, and can make it work in ways that mere mortals can’t just understand. The rest of us tries to understand in other ways. There are different, weird ratios of productivity, that are hard to explain. The patterns that we catalog as a result of this desire to observe are a dreamscape, a symbolic cosmology, realizing our hopes for the Future-Present, but also, our fears. Magnets, for a long time, only benefited navigators—and by extension, kings, queens, merchants. It wasn’t until the discoveries of electromagnetism that this magic began to pay off for most people as it brought power into their homes, their kitchens, and their workplaces. In what ways could electromagnetism hurt us? The impossibility of such a dystopia erodes like the passage of time, and it is up to each of us to construct this dream ourselves. Fascination is often described as a pleasant experience— but dreams of the impossible are always accompanied by nightmares, whether we remember them or not. But to me what makes drones and augmented reality more fascinating than, for example, mining technology is both how they express the stories I've grown up with and how they impact my sense of self in relation to the world. So, the narratives of Gibson, Sterling, Heinlein, Bester, et al conditioned me to look for these signals on the horizon. In many senses of the word, I am invoking their becoming through my own internalization of those compelling stories about possible futures. This, of course, is the power of so-called design fictions. Is fascination a specific quality of these technologies? Yes, in as much as all technology is a product of imagination and vision, and all technologies are birthed in the light of novelty. We are programmed to detect novelty as a prime directive of biosurvival. Likewise, the technological unfolding is a slow and often telegraphed process, a striptease of sorts that inspires cultural fascination as each new bit is revealed until the pattern emerges and we suddenly see the future before us. This is the marvel of our times: that our imaginations are unfolding before us so quickly and drawing our fictions out into reality. Authors of speculative fiction rank high among those who direct the attention of our Future-Present fascination. Even when their speculations fail to become accurate predictions, the way our imaginations have accordingly come to expect the distribution to appear has had its effect. The physics of the crystalline structure of Nd2Fe14B directly affect how we understand electromagnetism. But even before that compound existed, the shape of the impossible to come was preceding it in our combined imagination. The Future-Present receives these inventions gleefully, whether they become plateaus or chasms, and compiles them into a landscape. Whether it is new magnets, tiny robots, or flying cars, our culture of fascination has been doing the groundwork for years. For better or worse, this desiring gaze into the jaws of the impossible is not only a dream, but a formative element of the cultural terrain into which technology must be born. The Future-Present’s fascination with the newly possible is many things: an internal human drive, a conscious dream, and a cultural construct. Deb reminds us that the substantial record of this fascination is only possible because of our technological advances. Fascination is a feedback loop, causing the pattern to congregate, duplicate, and infiltrate. The Future isn’t something people specifically set out to do. Futurists don’t create these concepts, but recognize the patterns in what is already happening in the Future-Present. Only with the technologies of cultural observation that we currently employ--the aid of feeds at which we stare and Tumblrs on which we aggregate it--do these things appear. Therefore, the necessarily appear in that form. 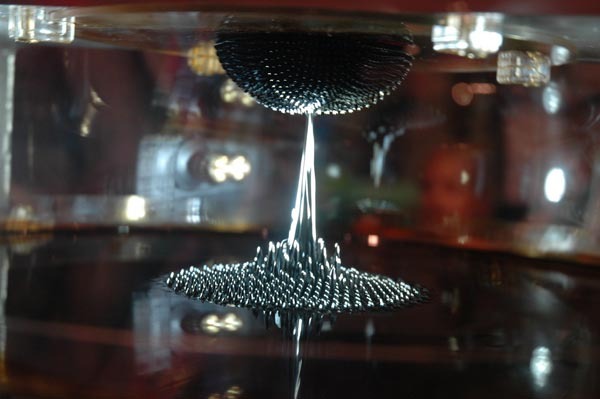 How important was the precise moment at which neodymium magnets suddenly became possible? Thirty years later, it probably doesn’t even occur to most people. Ampere, Fareday, Pixxi, Sumitomo--none of these are brand names, and so their capacity for fascination is low, while viral videos of drones employing tiny servos abound. We could give this fascination a name, or not--but we still know exactly how to search it out and Tweet about it. Fascination in the Future-Present finds its form in the residue of the past. The how and why of the impossible-becoming-possible is shaped by how capable we are of recording it, which is a skill that only evolves over time. We can’t conceptualize the future unless we are able to notice the change occurring, and we can’t notice it unless we are part of the subjective feedback loop of time--an odd “Certainty via Uncertainty Principle” that we call temporality, or historicity. Our drives, our dreams, our cultural productions, our technological milieu, and our perception of history guide our exploration of the impossible. But nothing is scripted. That history, in all of its mediated constructs, appears to write itself is no proof that there is only one way to write it. Clarke and Fort perceptively observed that the impossible would become possible--but they never could have said which impossibilities were the ones to watch. We have no guide other than fascination. For all its subjectivity, it is guided by powerful forces. There is a science to this. There is a technique to moving across the plane of impossibility, by finding the right cultural and technological conditions, and using our ability to work through our dreams and nightmares. We aren’t at the mercy of our history, and we can hack the Future-Present. We are already, and we’re getting better at describing and teaching the skills of doing so. Clarke and Fort might be the Fareday and Ampere of our Future-Present fascination. They pioneered the concepts--but the future applications of our current technological fascination are becoming more diverse than anything within their realm of possibility.